You may think you know all there is to know about taking a pregnancy test. I mean, how hard could it be, right? Well, what you don’t know may surprise you! Follow along below to test your knowledge. When you should take it: It is recommended to wait until the first day of your missed period.2 A missed period is one of the most obvious signs you may be pregnant. 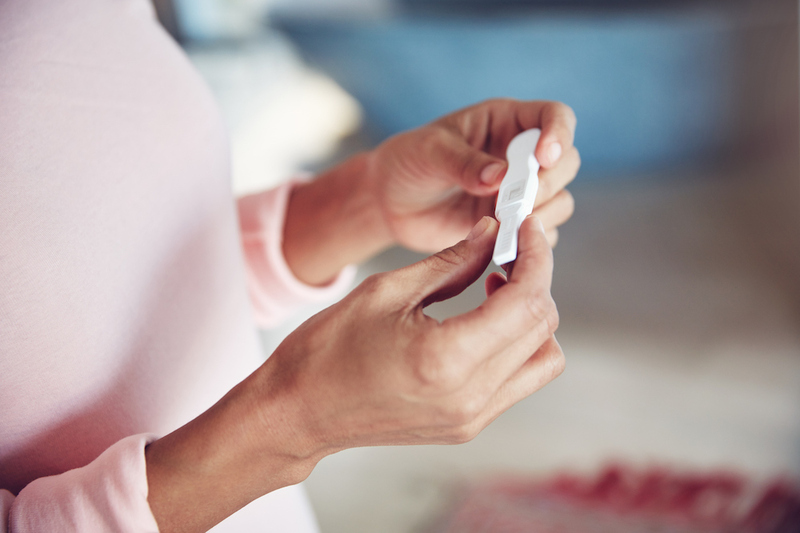 If you take a pregnancy test at the first indication of a missed period, that should be around two weeks from conception, which allows for a detectable amount of hCG.2 However, a blood pregnancy test may be able to detect a pregnancy before your missed period. Better together? When it comes to taking a pregnancy test, is it better to have emotional support or to take it alone? Well, the answer to that one totally depends on personal preference. Some women may find it comforting to rally the support of friends or family, while others may appreciate the privacy. Each person is different. References: 1. American Pregnancy Association. Human Chorionic Gonadotropin (hCG): The Pregnancy Hormone. http://americanpregnancy.org/while-pregnant/hcg-levels/. Reviewed August 16, 2018. Last updated: August 22, 2017. 2. American Pregnancy Association. Taking a Pregnancy Test. http://americanpregnancy.org/getting-pregnant/taking-a-pregnancy-test/. Reviewed August 16, 2018. Last updated: March 14, 2017.